Leading Manufacturer of modular slat chain conveyors, slat chain conveyors and ss slat chain conveyors from Hyderabad. To meet the precise demands of clients, we offer a wide range of Modular Slat Chain Conveyors. These are ergonomically designed and developed using top quality components and as per international industrial standards. 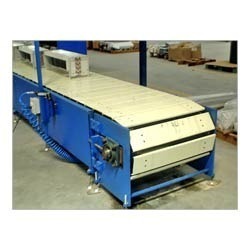 The offered conveyor is precisely engineered using high quality components and latest technology. 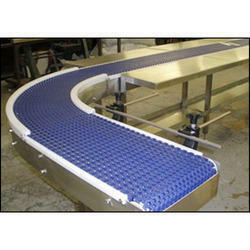 We provide this conveyor in various specifications at industry leading rate. 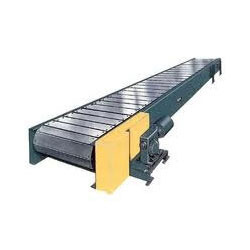 With the assistance of our team of professionals, we are engaged in providing wide range of Slat Chain Conveyors. We manufacturer and supply their vast ranges in prominent manner. In addition to, by keeping the various needs of our clients we manufacture our entire range as per the desired trend of market. We offer SS Slat Chain Conveyors to our valuable clients. Our reputed clients can customize the product according to their requirement and can avail it at best pricing as per industry standards and norms. Our supervisors make sure to manufacture this product using advance technology. Price range is convenient as well. Since it offers immaculate quality and durable performance, our clients widely appreciate us for the quality and price range that we offer.